Today I was tasked with performing a V2V migration of a Windows Server 2016 VM from VMware ESXi 6.5.0 to Windows Hyper-V 2016. 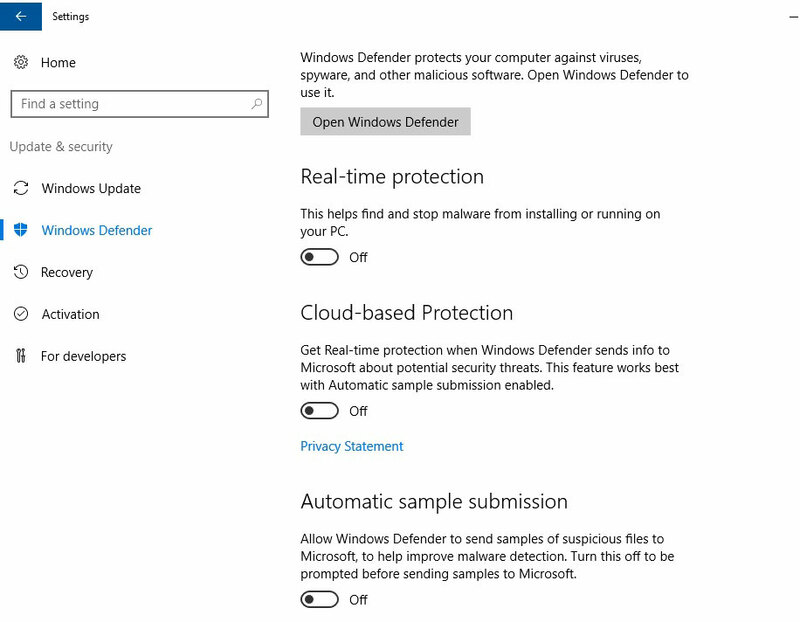 The error got resolved by disabling Windows Defender via the Settings app. 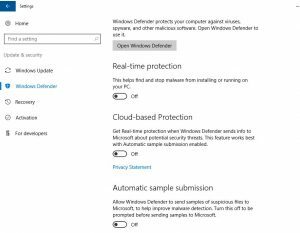 Real-Time protection, Cloud-based Protection, and while you’re at it, Automatic sample submission. Remember to turn these back on when done. The way we usually do V2V from ESXi to Hyper-V is simply to turn off the VM, copy the VM’s .vmdk files via either browsing the datastore via vSphere or by using sFTP if SSH is allowed followed by converting the drives to vhd’s. Unfortunately that could not be done on this occasion as the VM had provisioned drive space of terabytes, space I didn’t have available on the new target Hyper-V machine, but the VM didn’t utilize anywhere close to those terabytes. The solution then was to use VMware vCenter Converter to be able to shrink the drives in a first pass to “convert” to VMware Workstation, followed by a conversion of the generated .vmdk files to .vhdx to be used by Hyper-V.
I’ll spare you the rundown, but what I ended up doing was creating a new small VM on the Hyper-V host, installing vCenter Converter on that to perform the migration. Using the new VM I performed the “convert machine” with the source set to the now powered off original VM and a target set to as VMware Workstation and a fileshare on the Hyper-V host making sure to shrink the drives as necessary during this stage. (This part is what gave me the ‘Error code: 255’, solved by turning off Windows Defender). Once the VM had been converted to run under VMware Workstation I booted up StarWind V2V Converter, pointed it’s source to the fresh .vmdk files and target to D:\HV\$VMName\Virtual Hard Disks\$VMName_$Driveletter.vhdx. Once complete I created a new VM and stored it under D:\HV\$VMName, attached the .vhdx files as separate drives and configured the VM as per usual. With the VM booted VMware Tools were uninstalled, the drives were set up, and the NIC was set up, followed by a reboot. The VM is now up and running under Hyper-V. This entry was posted in Troubleshooting and tagged VMware, Windows Server. Bookmark the permalink.